What is Flathead Electric Cooperative’s new Demand Charge? As a not for profit electric cooperative, Flathead Electric’s goal is to collect our costs from members in the most fair and equitable way. The Board of Trustees and staff at your Co-op have put considerable research into a new rate design that more fairly collects each member’s share of the total cost and also gives members more control over their power bill. At their February meeting, the Flathead Electric Cooperative (FEC) Board of Trustees approved a residential rate structure which includes a new residential demand charge. The Board also approved a 0% rate increase for all rate classes for the coming year, meaning the Co-op isn’t collecting any more money, we’re just slightly changing the way we collect it from members. Changing the structure of our rates to include a demand charge means that some members may pay a little less, and some may pay a little more, depending on the demand they require during peak periods. 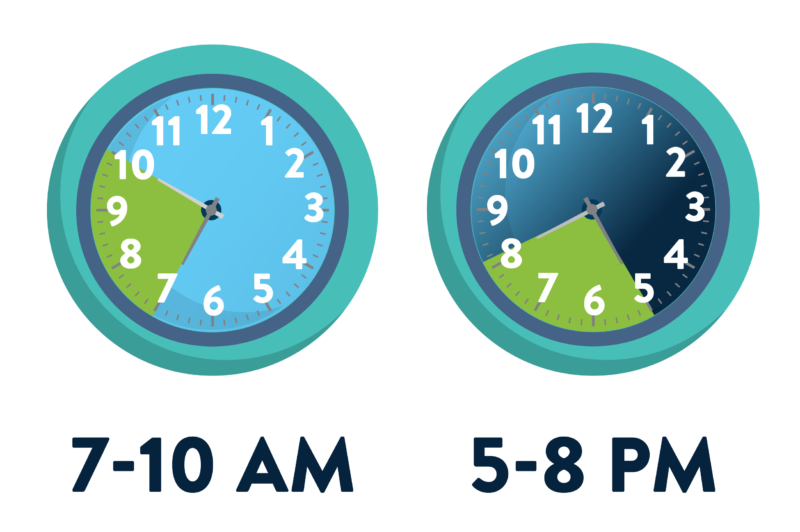 Demand measures the maximum amount of power you require each billing period during Flathead Electric’s peak hours, when our costs are higher. This two minute video will help you understand electrical demand and why a demand charge is a more fair way for our members to pay for the power they use. 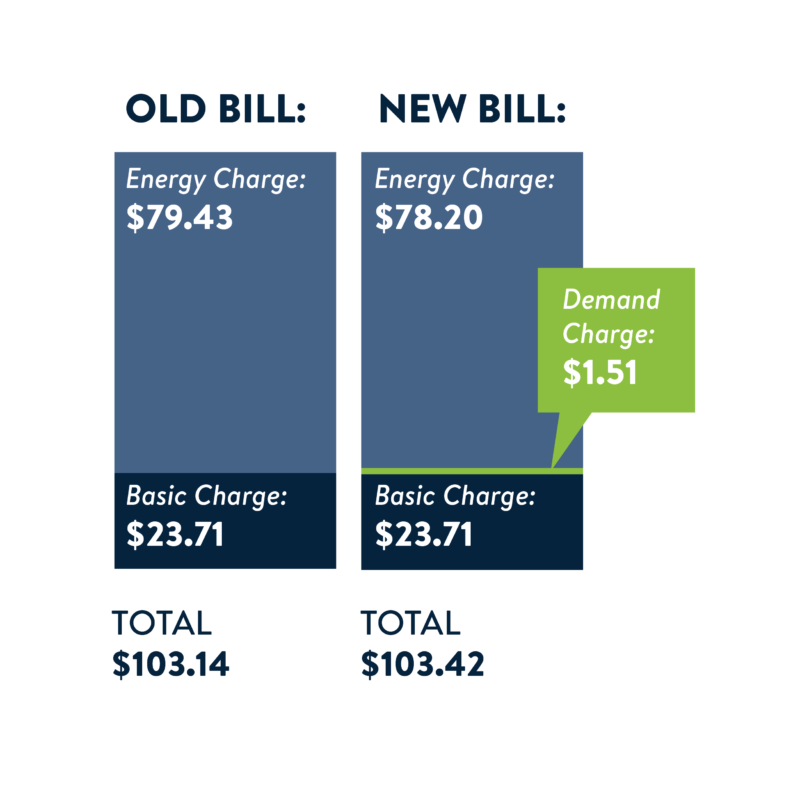 See exactly how this change will impact your bill with our Residential Demand Charge Bill Calculator. Why is the Co-op implementing a demand charge? 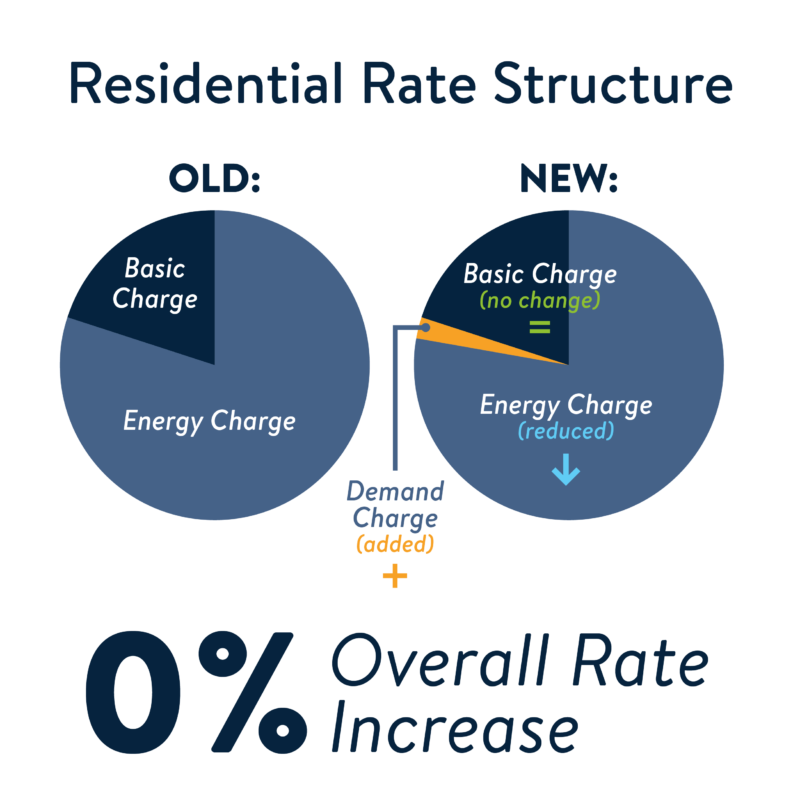 As use of the electrical system increases and new technologies change the way residential utility customers consume energy, the way our wholesale power supplier, the Bonneville Power Administration, charges us has also changed. Flathead Electric Co-op now pays more for power during periods of time when our energy consumption is the highest. Providing and maintaining the infrastructure needed to serve the largest possible load on our system at any given time has become a more significant cost factor. Due to this cost shift, our old rate structure was at risk of unfairly burdening some members with costs they aren’t putting on the system. In response, Flathead Electric Co-op is (as are many other utilities across the country) changing the way they charge for residential power to include a demand charge. The Board of Trustees and staff at your Co-op have put considerable research into this new rate design which more fairly collects each member’s share of the total cost and also gives members more control over their power bill. Is this a way for the Cooperative to collect more money? No. In fact, the Board also approved a 0% rate increase for all rate classes for the coming year. As a not-for-profit Co-op, FEC’s goal is to collect their costs most equitably from our members. This rate structure change is revenue neutral – meaning the Co-op isn’t collecting any more money, we’re just slightly changing the way we collect it from members to ensure that the people who have a higher demand on the system during peak hours are billed for that demand, and those with a lower demand pay less. Respectively, the amount you are billed for each kilowatt hour (kWh) you consume (FEC’s traditional energy charge) will be decreasing by 1.2% for block 1, 1.9% for block 2 and 3.1% for block 3. Think of the total amount of FEC’s residential rates collected as a pie. Since there is a 0% overall rate increase, the pie isn’t getting any larger; the slices within the pie are just changing shape. How much is the demand charge going to be? The residential demand charge will be $0.26 per kilowatt (kW). The highest demand you require in any one-hour time period (during FEC’s peak hours) in your monthly billing cycle will determine your charge. A fairly average residential member using 1,100 kWh with a demand of 5.79 kW would see a $1.51 demand charge (5.79 kW x $0.26/kW = $1.51), and a reduction of $1.23 in their energy charge, resulting in a $0.28 change to their total bill. When are the Peak hours? So, could my bill could actually go down? If you’re putting a lower electrical demand on the system, yes, because it costs FEC less to serve you, thus you should pay less than those with a higher demand. That’s what makes this rate structure fairer for Co-op members. With the addition of the demand charge and reduction of the energy charge, about one-third of FEC members will see their bills decrease slightly since it costs the Co-op less to serve them power. Likewise, members who have a higher demand during peak hours could see a small increase in their bill. The vast majority of our residential members will see their bill go up or down less than 2%. When will this new rate design take effect? It will impact all residential bills issued after June 1, 2019. What can I do to lower my demand (and my electric bill)? This new rate design gives members one more way to control their costs by making small changes in household activities. During peak hours avoid using major appliances like your dishwasher, heating and air conditioning systems, or washer and dryer at the same time. Using your oven, washer, dryer dishwasher and water heater all at the same time during peak hours will incur a high electrical demand. Instead, spread out usage, or shift it to off­-peak hours when you can. Spread out the use of major appliances rather than running them at the same time. Do laundry and other chores that require significant amounts of electricity mid-day, later in the evening, or on weekends. 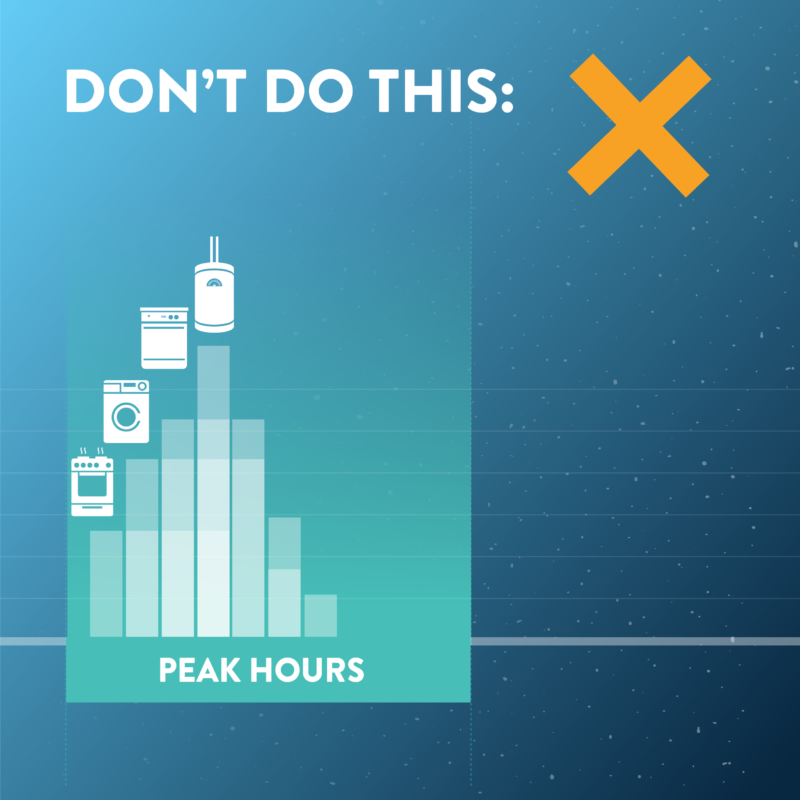 Set timers to run your dishwasher, clothes dryer and other appliances outside of peak hours. Purchase a programmable thermostat to reduce heating and air conditioning usage during peak hours. 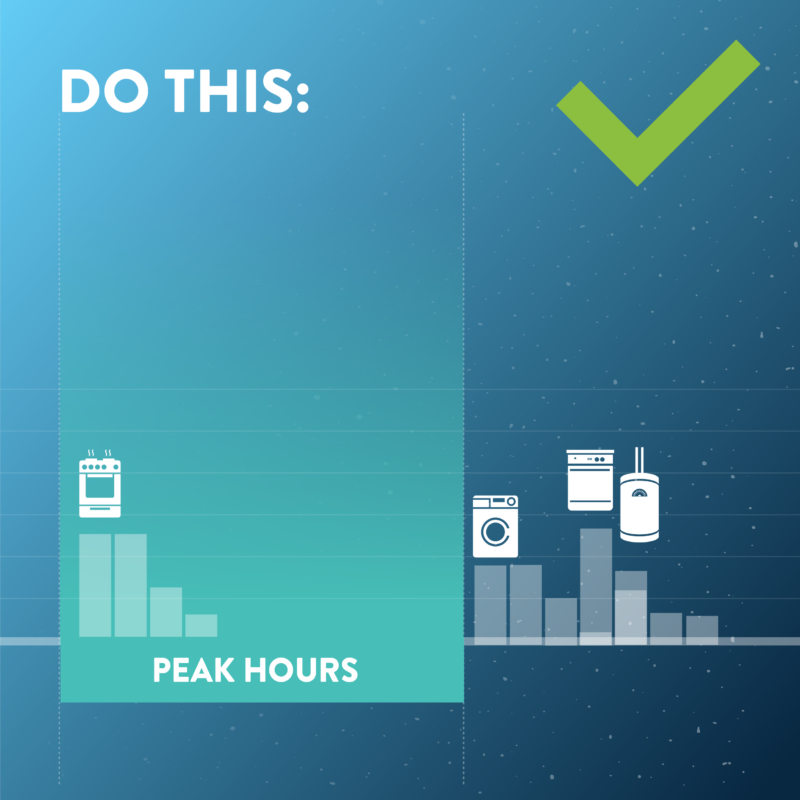 Where will I see my peak demand measurement? Starting in June 2019, it will be noted in several places on your bill; in the Service Description portion, in the Energy Usage Information, and in the Current Service Detail. What other tools are there to assist me? You can find lots of useful information by logging into your My Co-op app on your mobile device or by logging into your Smart Hub account. Both of these have information on what your peak demand measurement was and when it occurred. In addition, we are currently developing an on-line tool that will calculate your bill based on different inputs that you enter. It will be available on this page, so check back soon!